Taking on a campaign to influence the powers that be to investigate the idea of redesigning national flags is a formidable challenge. But, in the end, to finally achieve the triumph that had been set forth makes a country proud of its new flag and what its new symbolism comes to mean to all its citizens. We in the USA have had changes in our flag since we fought the Revolutionary War—from 1776 until today. Our flag has been changed every time that new states were added to the Union. As recently as 1959 our flag was changed to recognize the admission of Alaska, and then Hawaii, to statehood. It is true that when stars were added to the blue of the canton, no one considered these major changes; we expected the star additions. But Canada, from the same early days, was claimed by Britain, held as part of the U.K. Commonwealth, and still is. The United Kingdom’s territories, as such, are not as large as in earlier times. Many have demanded their own nationhood and freedom from the English crown. Canada had long lived under the flag, which was marked in the canton by the British Union Jack with a shield in lower right position–signifying four royal houses, England, Scotland, Ireland, and France—with red maple leaves at the base of the shield, all on a field of red. (Incidentally, maple leaves had been shown as green until 1957.) 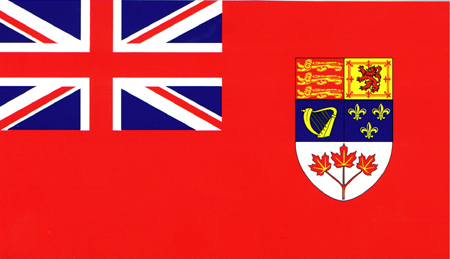 This flag was known as the British Red Ensign. restraints, is a long but civilized one. Success took a while to achieve. But, as recently as February of 1965, Queen Elizabeth herself accepted and presented to the Canadians and the world the new Maple Leaf flag, which Canadians had designed themselves. 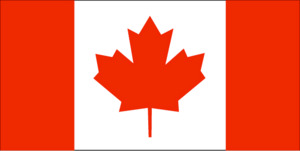 All of the USA knows this elegant flag, especially Minnesotans who see it a lot, but many probably know how recently it became the official flag of Canada. 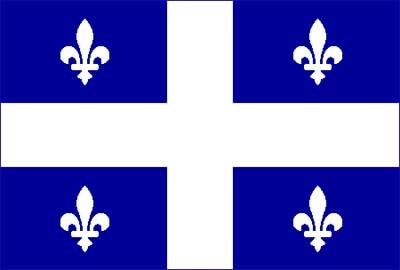 And did you know of the conflicts between Canada proper and the Province of Quebec—a French-speaking nation-within-a-nation which flies its own flag—white with blue quarters and white fleur-de-lis (the stylized flower design of the iris from old French royal flags). I don’t have any idea how many people of this country are aware that a similarly long historical campaign has been gong on in another nation-state of the British Commonwealth for an individual flag of their own. 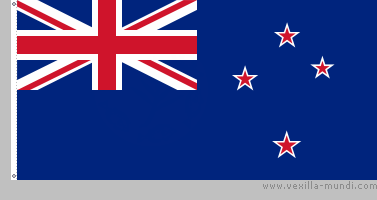 New Zealand lives under a flag that claims British affiliation. Their flag shows the British Union Jack at upper left (the canton area) with the constellation of the Southern Cross at right with red stars edged in white, all on a field of blue–the Blue Ensign (not red, like the old Canadian flag). The design proposals in New Zealand appear to have freshly adopted an element from the design of the Canadian flag; that is, a leaf taken from a native plant (sometimes bordered on either side by wide bars). 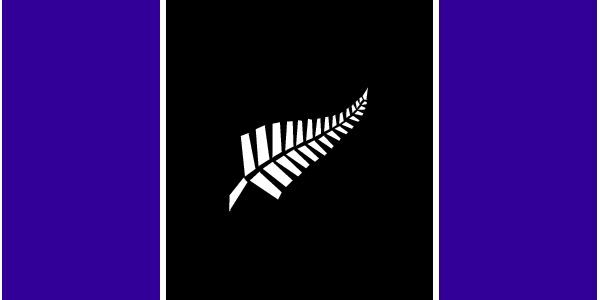 In the New Zealand design, the plant form is a large leaf of a fern, popularly known in NZ as the “silver fern.” The silver fern flag being promoted by Brian Sweeney and his supporters (nzflag.com) is a very attractive design of which there are a couple of variations. 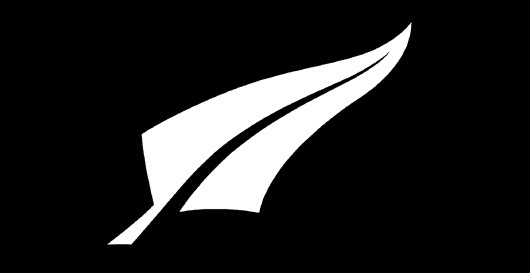 One is a stylized silver fern leaf in the middle of a solid black field. ; another design has two broad, blue vertical bars with a white skeletal fern leaf in a middle bar of black. We don’t really know how long many different designs have been put forth; there are others. One by Jason Paul Troup is called the Kiwi flag (Kiwi is a nickname for New Zealanders). This one is dominated by a rolling breaker shape (white) on water (blue) with vegetal growth (green) accented by the Southern Cross design of stars (gold). ubiquitous Union Jack, a nation’s modest pride in independence from colonial rule is theirs. We support New Zealand’s desire to have their own flag. ~ by marcstratton on 15 August 2007.